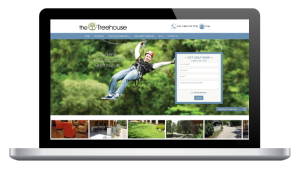 Treehouse Rehab, a unique addiction treatment facility in Texas, tasked Maneuver Up Marketing with creating a new WordPress-based website and implement an ongoing internet marketing plan. 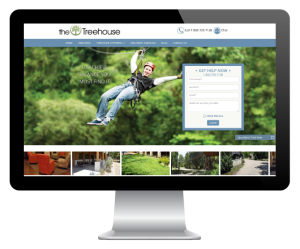 The Maneuver Up team worked closely with Addiction Campuses’ in-house creative team to ensure the Treehouse brand was represented across all web marketing platforms. The Treehouse Rehab is one of several addiction treatment facilities owned by Addiction Campuses, a Tennessee-based treatment provider. Having worked on other Addiction Campuses facility websites, Maneuver Up set off to differentiate the Treehouse from other addiction treatment programs, especially other wilderness-oriented offerings. After the Treehouse’s website was up and running, the Maneuver Up team submitted the Treehouse to relevant local directories, such as Google Places, to improve local search engine optimization. Maneuver Up’s content marketing strategy consisted of writing original, targeted content that reflects the Treehouse’s brand and mission. A content schedule consisting of regular blog posts based on keyword research became the foundation of an organic SEO strategy and allowed for engaging content to be shared on the Treehouse’s various social media platforms. Going forward, Maneuver Up Marketing will continue to publish content regularly which will continue to boost organic rankings and allow the Treehouse to reach people looking to get a loved one into treatment.